One of the reasons why so many people are seeking teeth whitening in Toronto is because it’s a common problem with a lot of potential causes. Discoloured teeth are a common problem affecting many people. While yellowed or discoloured teeth do not necessarily indicate any health problem, they can have a major effect on a person’s appearance. Many people feel self-conscious about the look of their stained or off-colour teeth. Teeth whitening services in Toronto are used to help improve the appearance of teeth and brighten smiles. There are many causes of tooth discolouration, and the right treatment can differ depending on the cause of the problem. There is a stigma surrounding tooth discolouration, with many people believing that stained teeth indicate poor oral hygiene. The truth is that there are many common causes of this problem. Food and Drink: There are a variety of foods and drinks that can stain your teeth. These include coffee, red wine, berries, and candies. Eating too many of these foods can cause discolouration. Tobacco Use: Tobacco contains chemicals that are known for causing stains. Smoking cigarettes or chewing tobacco can lead to yellowing of the teeth. Age: As we grow older, our teeth can become less white. This is because our tooth enamel begins to thin out and deteriorate. Physical Trauma: If you are injured in the mouth, the result can actually be discoloured teeth. In response to injury, your teeth can increase their amount of dentin, which is yellow and leads to discolouration. Medications: – Certain medications can cause tooth discolouration. In fact, many common medications, including antihistamines, antibiotics, and even blood pressure medications, can cause tooth discolouration as a side effect. Poor Dental Hygiene: If people do not properly brush or floss their teeth, then the result can be a stained or yellowed smile. Dental Materials: Certain dental materials, such as amalgams, can stain the teeth a gray or black colour. Genetics: Sometimes genetics can be to blame for the whiteness of someone’s teeth. Some people just naturally have duller or more off-colour tooth enamel. Environment: There are certain chemicals or elements that can lead to discolouration of teeth. For instance, high levels of fluoride in water or dental products (toothpastes, rinses, etc.) can reduce the whiteness of teeth. Disease: There are many diseases that can have tooth discolouration as a side effect. As well, the treatments for some diseases can also cause discolouration. For instance, chemotherapy can dull teeth. If you have tooth discolouration, then a teeth whitening dentist in Toronto can offer the treatment to help correct the issue and improve the look of your smile. There are two different types of treatments that they may offer, depending on the cause of your discolouration. With vital whitening, dentists typically use a powerful whitening gel that is activated by a specialized laser. This in-office procedure can be performed in one to three appointments and can eliminate severe tooth discolouration and staining. Teeth whitening gels can also be purchased in pharmacies or drug stores, but these over-the-counter products are less effective than what dentists can use. If tooth discolouration is stemming from inside the tooth (as opposed to staining on the surface), then a gel procedure may not be effective. 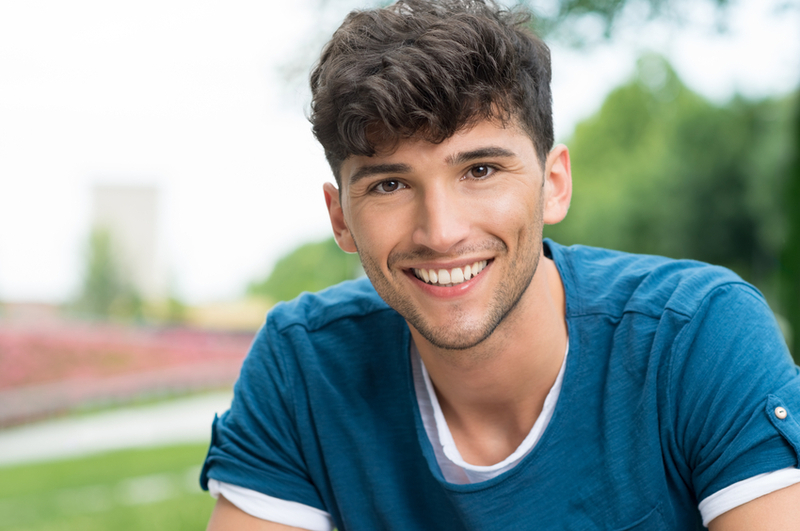 For people with root canals, a non-vital tooth whitening treatment involves placing a whitening agent inside of the tooth and keeping it in place with a temporary filling. Cosmetic dentists can perform professional procedures that improve the look of your teeth. Tooth discolouration, misalignment of teeth, and missing teeth are all issues that can have a big impact on the look of your smile. If you are looking for a teeth whitening or teeth straightening dentist in the Toronto area, Princeview Dental Group has been providing cosmetic services for over 20 years. Our in-office teeth whitening can provide the most effective results, eliminating tooth discolouration and helping you feel confident in your smile again. Princeview Dental has been a fixture of the Kingsway area in Etobicoke for over 20 years, where we’ve provided dedicated family care in a professional, welcoming, and modern environment. Please call us today at (416)-231-4562.